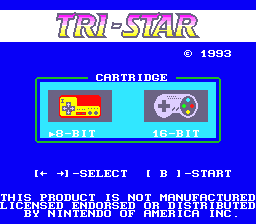 The Tri-Star is an early NOAC adapter with the usual set of compatibility issues. Hold X + A as you power on the console for a hidden menu that displays the BIOS checksum. 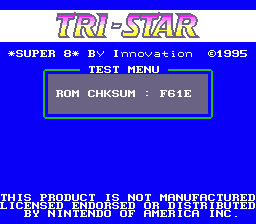 The F61E checksum for the Innovation Super 8 was verified on the real hardware. This page was last modified on 30 November 2015, at 16:57.